Have you requested a Huawei Original Operator Check from doctorSIM and looking for information on how to understand the report you've received? The Huawei Original Operator Check will tell you to which network provider your Huawei is currently locked. 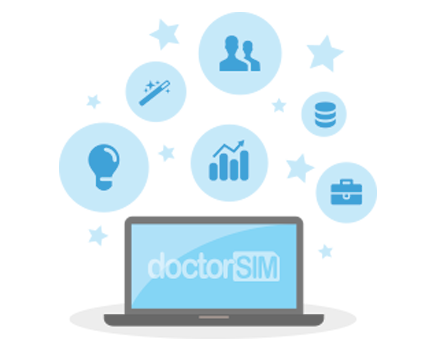 Once you have that information, you can unlock your Huawei with full guarantees at doctorSIM so you can use it on any network in the world. S/N: The Huawei's serial number is an identification number showing the phone's position in a series during the manufacturing process. Company: The original operator of the Huawei and the network provider that must be selected to successfully unlock the phone. Warranty Type: Manufacturer guarantee coverage. Expire: Date the warranty is no longer valid. Delivery Date: Date the phone was delivered by the manufacturer to the network. Sold-to Country: Country of origin of the network carrier under Company. Ship-to Country: Country of origin of the cell phone. 2. - Which section tells me to which network my Huawei is locked? The section which tells you to which network your Huawei is currently locked is “Company”. The "Sold-to Country" section indicates the country of origin of the network carrier under Company.